Recently I have to to solve one simple task regarding linear referencing. It is common task for all systems where the coordinate system is related to the linear elements. Each feature location is expressed as a distance from the beginning of some line segment. For example of such systems I can point out road systems, pipeline systems and similar. In this case that I’m writing about I had GPS data in csv format and road axis in the Oracle database. The GPS data represent location of the images (taken by the specially equipped vehicle for road measurements) along the road. To import images into application that animates ride down the road I had to express GPS coordinates for every image as a distance from the beginning of the road segment, ie. I had to establish LRS. For this particular task I’ve choose FME. 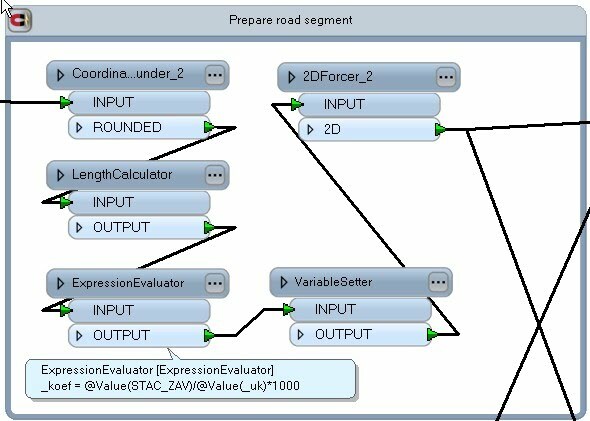 Here is the produced workbench file (FME 2012). Unfortunately I can't post original data but if you have some additional questions feel free to ask. 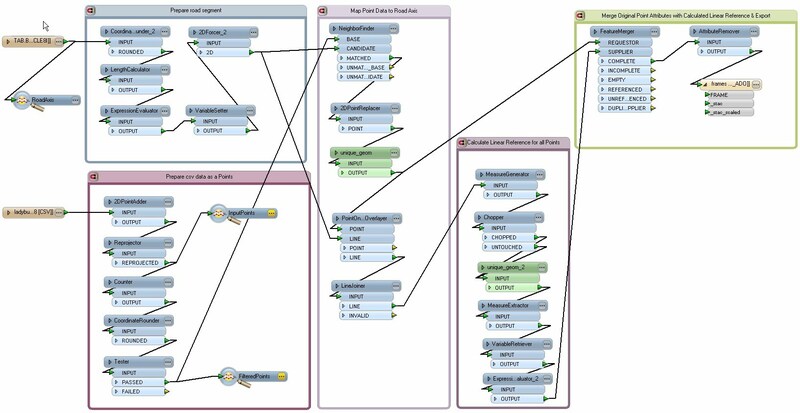 Maybe FME have some better solution for this task but I didn't have additional time to explore. The whole schema presented in separate steps is here. 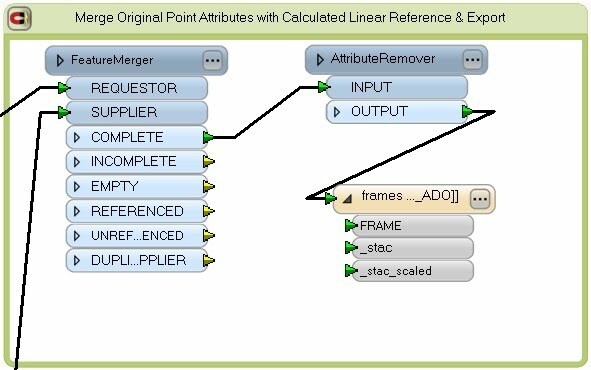 using FeatureMerger merge calculated measure values (step 4) with the original attributes of GPS points. 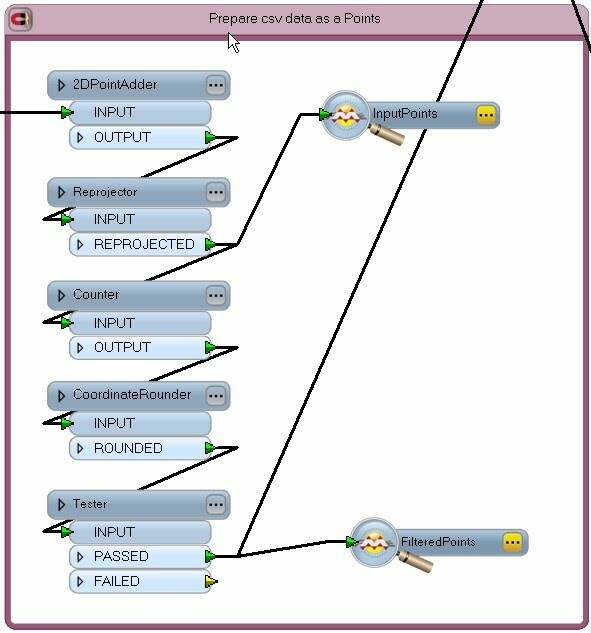 Unique identifier based on geometry is used for this task (custom transformer: unique_geom).